Apple released today a developer beta version of its upcoming iTunes Match. Steve Jobs already announced this service during his introduction of the iCloud at the WWDC in June. As explained by Apple, the system "stores your complete music library in iCloud, allowing you to enjoy your collection anywhere, anytime, on any iPhone, iPad, iPod Touch or computer." iTunes Match will scan your iTunes music library and checks which of these songs are available in the iTunes Store. It will include music you bought from the store, ripped from your CD collection, and even those obtained from other sources. The company boasts of more than 18 million song titles in its catalog so most likely, the songs you have in your collection are already available. Otherwise, you will have to unload those unavailable to iCloud. You can then listen to your music anytime, anywhere at 256 kbps iTunes Plus quality, as long as you are connected to the Internet. At US$25 per year, the service will allow you to free a lot of space on your devices since you won't need to store your music on your iPad, iPod Touch, or MacBook to enjoy them. At the moment, only developers have access to this feature and those who would participate in the beta testing will have a bonus of three months free access to iTunes Match. It is set for release in the fall alongside iCloud. 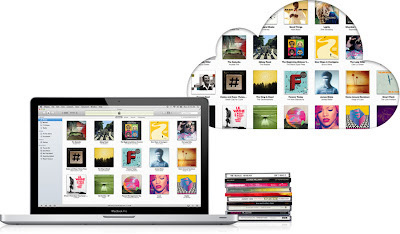 UPDATE 9/1/11: Apple vehemently denies that iTunes Match will stream music to your devices. Initial reports from Beta testers seem to confirm this. It appears that once you listen to your music via iTunes Match, it automatically downloads and stores then to your iPad, iPod Touch or Mac. Sorry to douse your excitement. But there is still no Philippine iTunes MUSIC store so I doubt if this service will be available here. You said that it needs Internet connection. How can I enjoy my music when I am in a far-flung area, for example, when I needed my music most?